This australian game was released in 1976 in limited quantities. Although assembled manually, it is not known if it was sold as a kit. 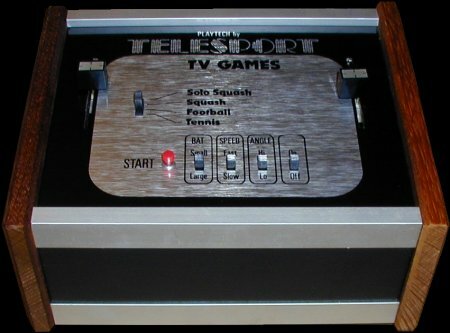 It uses the AY-3-8500 chip (General Instruments) and plays the 4 PONG variants. The design is very uncommon and very nice. It is typical for a kit, hence our wonder about how it was sold. As can be seen on the picture below, the circuit board is very simple and requires very few extra components, since the main game circuits are integrated in the game chip. 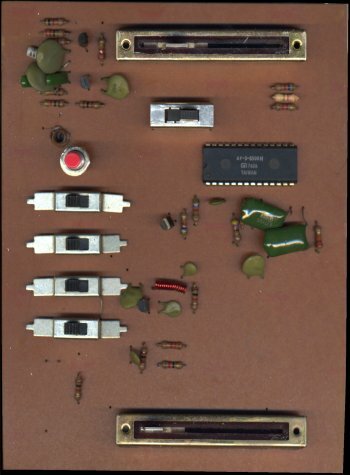 Game unit and its circuit board with very few components. Click the pictures to see them in larger size.